Sometimes I feel like I live in a zoo, but that's what makes everyday fun and exciting! 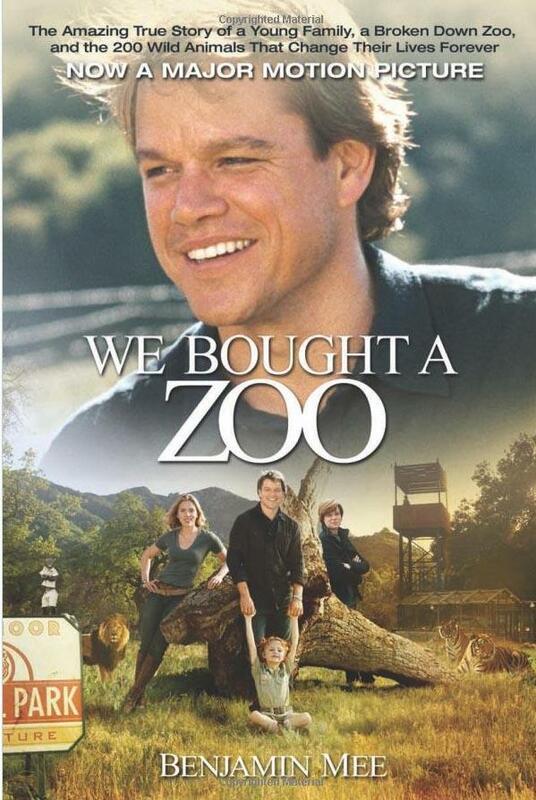 The upcoming family flick We Bought a Zoo, is coming to Blu-ray and DVD on April 3. I have the pleasure of offering one copy of the DVD and original novel for a giveaway! Directed by acclaimed filmmaker Cameron Crowe (Almost Famous, Jerry Maguire) and starring Matt Damon (Contagion, True Grit), Scarlett Johansson (Iron Man 2, Vicky Cristina Barcelona) and Thomas Haden Church (Easy A, Sideways), WE BOUGHT A ZOO is “a sweet-natured tale…that you’ll want to see with your kids” (Liz Braun, Jam! Movies). Benjamin Mee (Damon) is a Los Angeles newspaper columnist and adventure writer who, as a single father, faces the challenges of raising his two young children. Hoping that a fresh start and a new life will restore their family spirit, Mee quits his job and buys an old rural house outside the city with a unique bonus feature: a zoo named the Rosemoor Animal Park, where dozens of animals reside under the care of head zookeeper Kelly Foster (Johansson) and her dedicated team. With no experience, limited time and a shoestring budget, Mee sets out with the support of his family and the local community to reopen the zoo. Now, Benjamin is no longer reporting an adventure story; he’s living it in his own backyard. 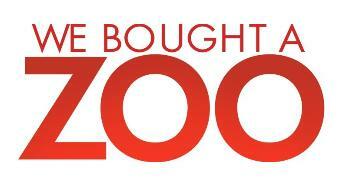 Featuring an incredible musical score composed by Jónsi of the band Sigur Rós, the WE BOUGHT A ZOO Blu-ray is loaded with over 2½ hours of special features including 20 deleted and extended scenes, a gag reel, four behind-the-scenes featurettes, commentary with Director Cameron Crowe, star J.B. Smoove (The Sitter, “Curb Your Enthusiasm”) and Editor Mark Livolsi, and more. The film also features an English Family Friendly Audio Track that earned the Dove Seal of Approval. The Blu-ray and DVD will be available for an average retail price of $24.99 and $19.99 respectively. Prebook is March 7. My favorite zoo animals are white tigers and black panthers. Favorite zoo animal is an Elephant. I love tigers and panthers.